Starting a business can feel like it has a million moving parts to keep track of. The truth is, starting a business has about a billion moving parts to keep track of. 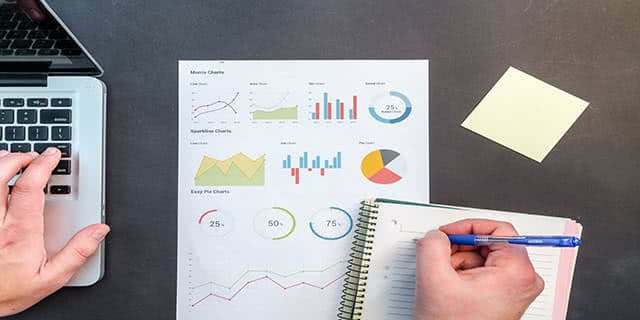 Between financial and accounting operations, keeping clients informed and keeping an eye on how your startup business is performing, there is always the chance of overlooking someone or something. A mistake like this can cost you dearly. No matter how big or small your business is, you wouldn’t be so primitive as to tally your financial statements on a whiteboard or file investors’ contact information away on a post-it note, would you? You’ll need a network of tools to maintain your business operations, but there are hundreds of different tools to choose from. All tools and applications fall into certain categories—all of which require focus to start (and keep) a business. Below, we look at what software will help you manage key roles of a successful business. Project management software is imperative for the organization, collaboration and scheduling of all aspects of a business’s daily functions. It allows the owner the ability to assign tasks to employees. Employees and owners can work together on assignments and share back and forth with relevant clients as well. Clear and definitive timelines can be set for projects to keep a closer eye on what is yet to be completed. If you need recommendations, the two leading tools in project management are Asana and Trello. Both are excellent, and the choice between Asana or Trello is only a matter of preference. Manually crunching numbers and calculating financial operations will eventually lead you to an error. Not just any error, a potentially costly error that can be easily avoided with financial management software. Accounting, forecasting, auditing and other financial processes should be done with tools such as QuickBooks. Another way to keep complex finance functions accurate and error-free is Microsoft Excel. You can learn Microsoft Excel for a wide array of functions that would benefit from the use of a balance sheet—most commonly being budget, payroll, and keeping up with taxes. This post cannot stress enough just how error prone the human mind can be. If your business is doing well, it will eventually become too much for you to handle. It’s hard to keep track of the number of clients you are receiving and working with using only your memory. Therefore, it is wise to invest in a customer relationship management (CRM) tool to maintain constructive relationships with these clients. CRM helps keep your clients satisfied and informed through constant and transparent communication while keeping tabs on their needs. By streamlining these functions, you improve customer satisfaction and encourage repeat business. There are tons of options, but the top tools of CRM include Zoho CRM and Pipedrive. You’ll need a CRM tool to manage client accounts, build leads and automate data and reporting after sales. Publishing content is a multi-headed monster. It is the way you communicate with clients, appeal to your audience and market your brand—basically how you convey information to the public. Word processors such as Microsoft Word are essential, and a given as it is probably currently installed on your computer. However, when it comes to publishing content as well as a diverse set of functionalities, easy web development, and compatibility with social media platforms — WordPress has emerged as the frontrunner in the content management software world. No business will thrive without the proper handling of the aspects above. Furthermore, trying to manage clients, finances, projects and clients by yourself will lead to disaster. You’ll need help if you are trying to successfully juggle the many intricacies of starting a business. Fortunately, there are tools designed for just this purpose. However, it helps, financially and mentally, to know which software will be a good fit for your business and weed out the ones that are not. There’s an app or tool for everything. Some help you learn and further your process while others just distract you and waste your time. There are an endless number of tools out there, and it may be overwhelming to try to pick which ones that will be handling a large operation of your business. However, if you utilize tools correctly and recognize what they can be used for, they will prove to be more accurate and reliable than the infamous “I’ll remember that,” method.